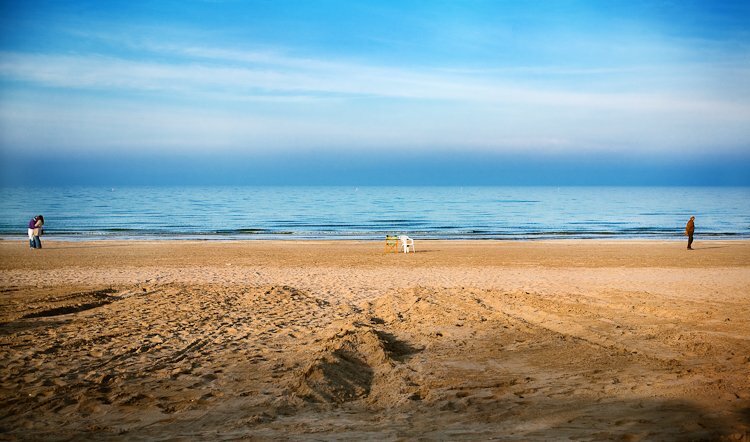 Nice scene captured in Senigallia (Italy) during last spring. It shows the distanze between two different period of life: the youthfulness with its happy moments and the oldness that sometimes leave us alone. Please check out the bigger size available on Flickr to see much more detail. I really like this. I love the sense of scale. The people are so tiny compared to the rest of the scene.